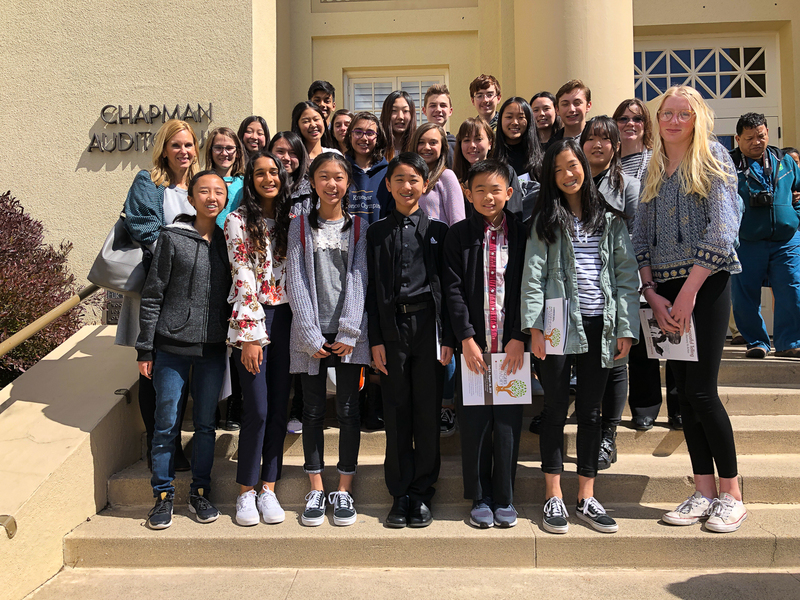 On Friday, March 8, students from all Placentia-Yorba Linda Unified School District (PYLUSD) middle and high schools attended the 20th Annual Chapman University Holocaust Art & Writing Contest Awards Ceremony in Orange. 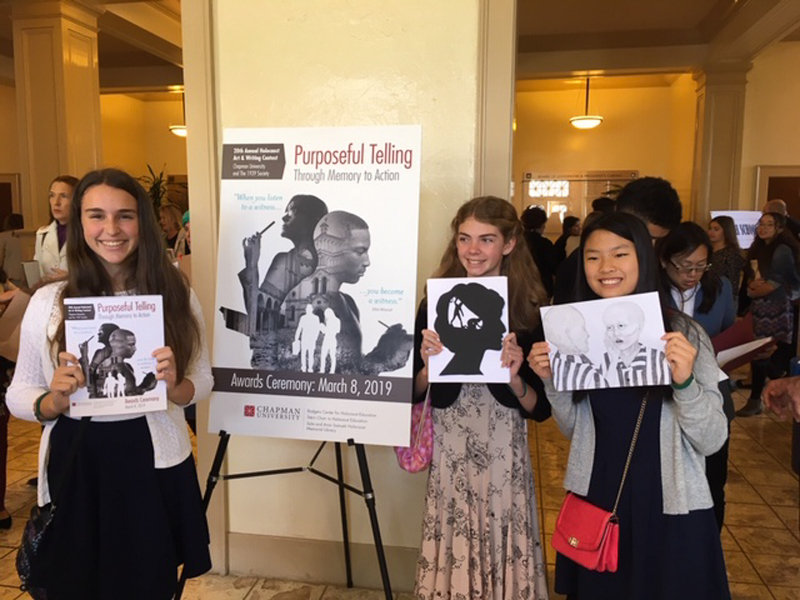 This year’s theme was “Purposeful Telling Through Memory to Action,” presented by Chapman’s Barry and Phyllis Rodgers Center for Holocaust Education. The competition is the largest of its kind in the nation. Over 8,000 students from 14 countries and 31 states participated this year. 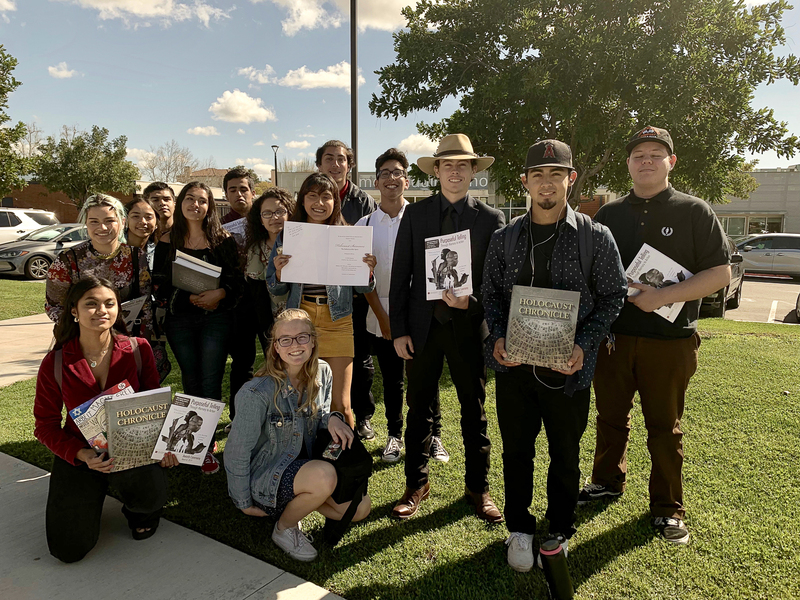 To participate in the contest, PYLUSD students conducted research on the Holocaust and World War II. Each student was instructed to listen to the testimony of a Holocaust survivor or rescuer while thinking about that individual’s motivation in telling their story. Then, they were tasked with creating a piece of art or writing that retold and reflected upon the individual’s experience. (L-R) Rick Lopez, Assistant Superintendent of Human Resources, Candy Plahy, Deputy Superintendent, and Carrie Buck, Board President, hold the award presented to PYLUSD for full secondary participation in the contest. Notably, PYLUSD was the only school district in the entire world to have all of its middle and high schools take part in this competition, with 13 schools total. This is the fourth year in a row PYLUSD has received this distinction. 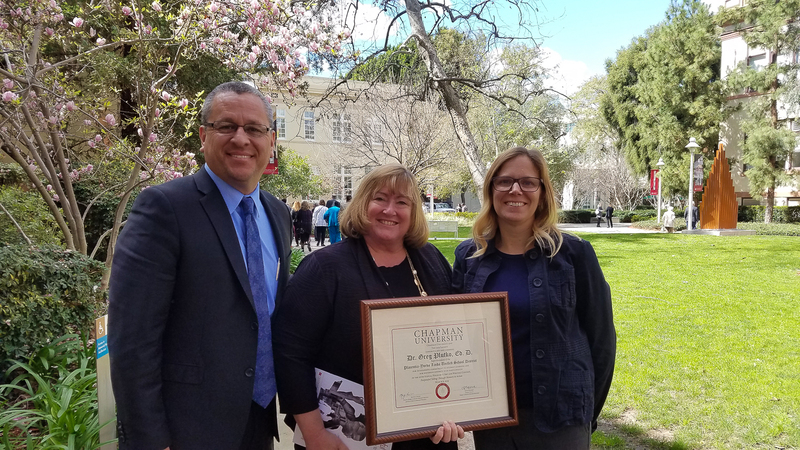 In addition, PYLUSD had three finalists recognized by Chapman University. 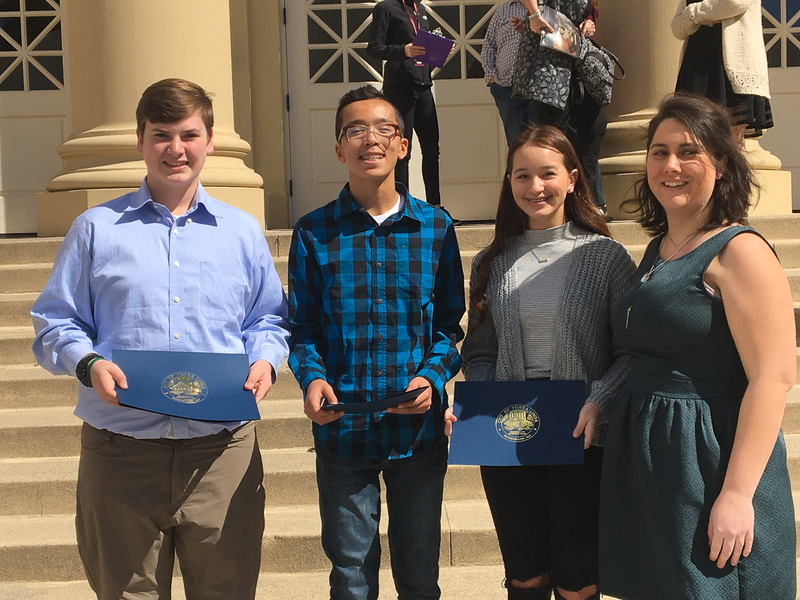 This includes Yasmine Cohen from Travis Ranch as a finalist for middle school poetry, Ethan Lee from El Dorado as a finalist for high school film, and Gabriela Schrader from Esperanza as a finalist for high school art. Congratulations, students! 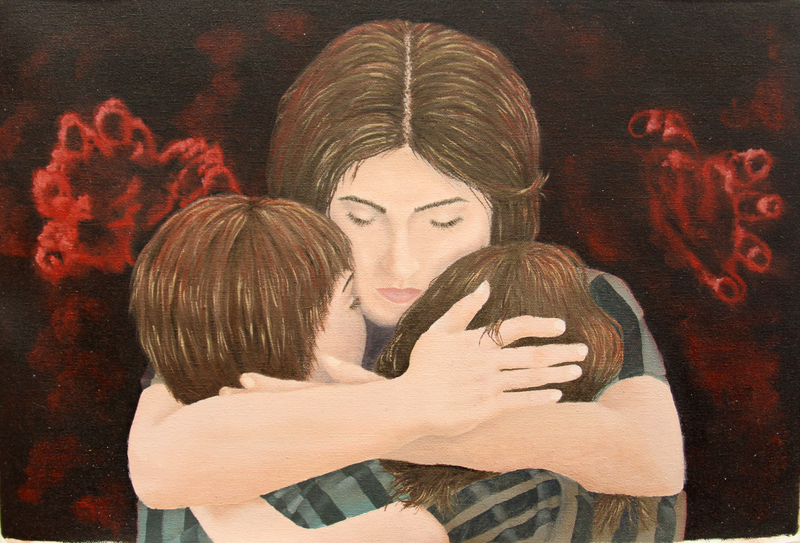 Be the first to comment on "Three students recognized as finalists, PYLUSD once again awarded for total secondary participation in Chapman University’s Annual Holocaust Art & Writing Contest"